Et voilà! 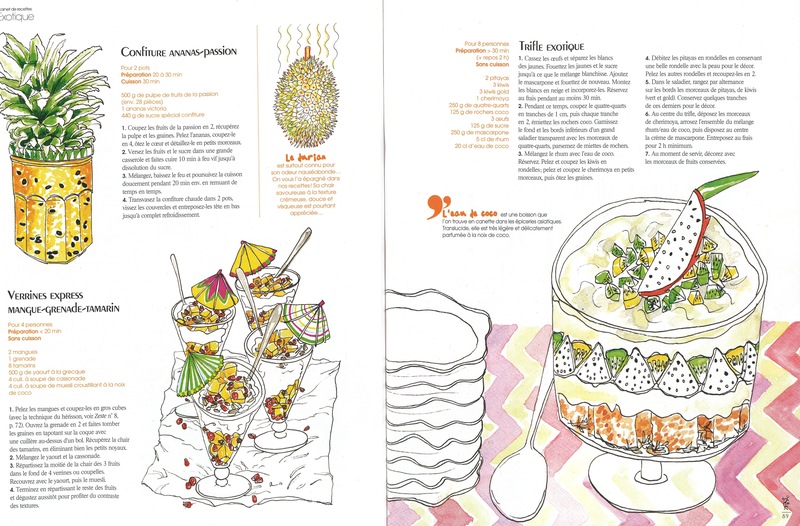 8 glorious pages in Technicolor watercolor in Zeste Magazine on French newsstands now. 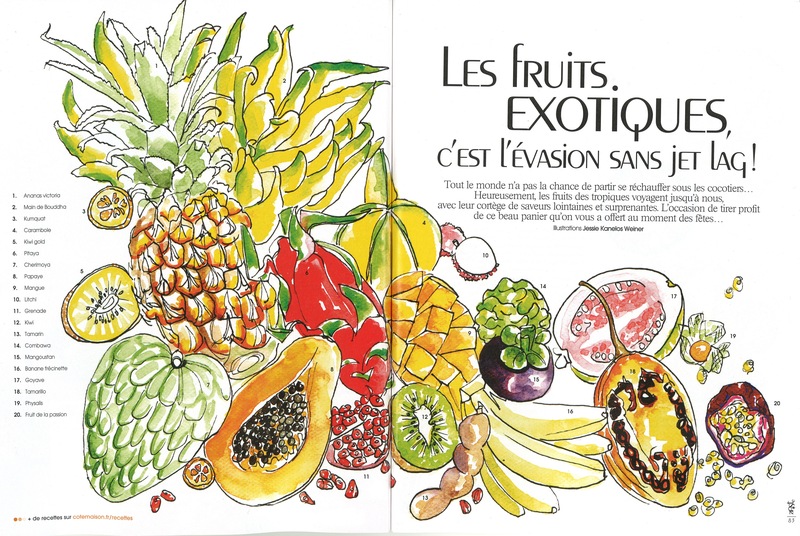 Not only will you brush up on all the French names for all of your favorite exotic fruits, but always find some tasty dessert recipes for the upcoming fêtes. My name is spelled right, too! Neither the Gessie with a G on all of my official French documents nor the perpetual moniker of Jenny I get called at aperos. I’m as happy as a cherimoya (see #7)! Previous Post Can I get a beurk beurk? Thanks Cynthia! That’s exactly what I love to hear. CONGRATULATIONS !! Your illustrations/art work make my mouth water! I’m so proud of you– these look phenomenal.